Mushroom beer brewing techniques. Making mushroom beer is not technically difficult. The key is to match the right mushroom to the right beer brew. Not all mushroom types will work with stout or a light wheat beer. You need to consider the flavor and aroma of the mushroom and match it to the best brew. It is important to work out which mushroom works best with what beer. Or, you could end up with something you cannot drink. What mushroom beer taste like depends on the mushrooms used to brew it. Mushroom beers are a flavor explosion that, for the brave, bring a new depth to beer brews. But the taste of the mushrooms changes when they hit the alcohol. 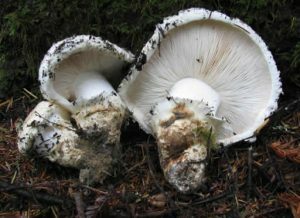 Matsutakes (Tricholoma magnivelare) can lose their spicy hit. Chanterelles and Portobellos lose their earthiness, while the Portobello flavor deepens. Alcohol makes the already sweet candy caps a whole lot sweeter. It helps to understand the underlying characteristics of the mushrooms to work out what beer type works best with each variety. A good way to test this is to dry fry up the mushrooms to let their true character shine through. Taste them. This gives you an idea of their true flavor so you can match them to a beer. For example, chanterelles pair well with a heavy malt beer with their apricot undertones. Making shroom brew at home is difficult because extreme heat will deteriorate all their psilocybin. The is true if you will fry magic mushrooms because it will also remove all their psilocybin. Brewing with psilocybe cubensis is more difficult than porcini mushrooms. Psilocybin loves alcohol because it helps extract it, therefore many brewers like to make a mushroom tea using some alcohol to speed along the process.